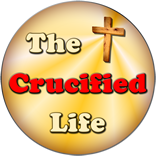 HomeThe Crucified Life Ministries BlogDid John the Baptist Come Back to Life? Did John the Baptist Come Back to Life? 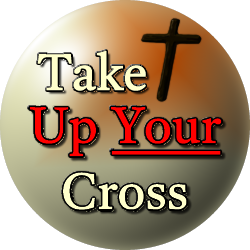 Matthew 14:1-2 (KJB) At that time Herod the tetrarch heard of the fame of Jesus, 2 And said unto his servants, This is John the Baptist; he is risen from the dead; and therefore mighty works do shew forth themselves in him. The name Jesus was infamous. Herod the tetrarch had heard of Him. Many people today have heard of Jesus. Simply hearing about Jesus Christ does not ever lead to an intimate understanding of who He is and ever will be. Though he had heard of him, Herod the tetrarch was way off track in knowing Jesus. Just like many lost souls today. In these ancient biblical times, many people pointed to John the Baptist, thinking that it was he and that he had risen from the dead. John the Baptist faced a cruel death, being suddenly beheaded because or a request made of an evil woman through means of her dancing daughter. Perhaps his death was hard to reckon, just like the life of this man named Jesus, and this was their way of bringing some clarity and understanding to the times in which they lived. However, they were far off base in recognizing Jesus. It is important to note that these people did see and understand that Jesus’s works were a mighty show of power, but they never recognized them to be of the supernatural power of God. Many ancient people in biblical times, including Herod, did not personally know who Jesus was. They never were to understand who He was on a personal level. However, they could see with their own eyes that his works were authoritative and commanding, perhaps because he was “a man brought back from the dead” they surmised, being different than a man of this world.